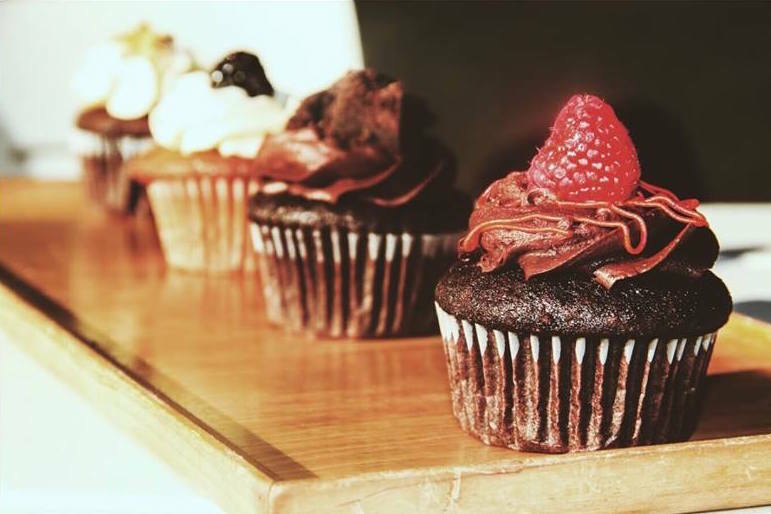 Happiness and delicious cupcakes, via a Brooklyn vegan bakery. “Do you want to come over?” she asked. I was joking, but she didn’t know me well enough to know that. My sense of humor can be pretty dry sometimes, particularly in text. Now that we text every day, I’ve come up with an emoji I use in text to denote when I’m making fun of myself. But that day, we had only been casually dating a few months. Due to a combination of heartbreak and quarter-life nihilism, I was playing it cool. I made it seem like I was always busy. I ignored how amazing she was. I taunted her about giving me cake. “I don’t know. Eat them? I couldn’t decide which one you’d want.” There was every possible flavor, from strawberry buttercream to lemon blueberry to chocolate on chocolate. I ate the red velvet one and tried to pass another off. She took a few bites and demurred, saying she didn’t really like sweets. I didn’t understand. I was used to drama and I couldn’t fathom why anyone would be so nice to me. I took ten and a half cupcakes home with me the next day. I passed them off on my roommates and every visitor. “You wouldn’t even know they were vegan,” friends would say. I rolled my eyes because of course vegan food can be good. I ate cupcakes for breakfast for a week. And I continued playing it cool. But I couldn’t stop thinking about how when she didn’t know what cupcake to get me, she got me all of them. Her job took her out of the city a short time later and I found myself surprisingly sad. I moved to a new apartment — in Bed-Stuy, where we could have been neighbors if I’d been smart enough to ask her to stay. I applauded myself for my independence in choosing to live alone and assured myself the whole world was open to me and my singledom as I explored my new neighborhood. Looking for new vegan spots, I found a place called Clementine nearby. I walked there one sunny summer afternoon in search of a treat. The storefront was small, with half a dozen tables split between the inside and the patio, and appropriately summery, decorated in pastel green and natural light. I found myself confronted by more choices than I knew what to do with, as often happens in all-vegan spots: pastries, sandwiches, ice creams, and every imaginable cupcake. After agonizing a few moments, I chose a chai cupcake and barely contained myself long enough to make it home without eating it. I restrained myself to enjoy it while sitting on a fleece blanket on the fire escape, soaking up the sunshine. Some friends, a couple, moved back to Brooklyn from Toronto, becoming my new neighbors. I took them to brunch at Clementine, where we marveled at all the options and how amazing it was that we could get vegan biscuits and gravy on Sundays. But sitting across from the two of them on the patio as a third wheel, I felt like something was missing. Someone was missing. She came back to visit and I found myself torn between how I could guard my heart from a long-distance love and how I would keep her. One lazy morning, I suggested brunch. 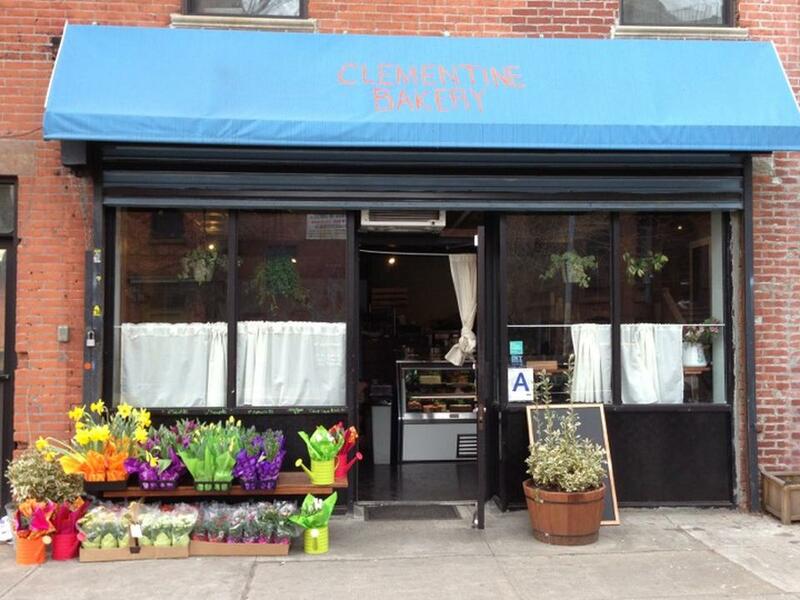 I mentioned Clementine, this place I’d discovered with great vegan cupcakes. “I know Clementine,” she quipped, playfully annoyed. “That’s where I got all your cupcakes from.” It all came together. I opened myself to her love, to abundance, to saying yes. Clementine expanded to the space next door and hung dangly plants from the windows. I bought their cupcakes for potlucks, for friends’ birthdays, for myself when I was sad. The cupcakes made me happy, I realized. And so did she. This is Jana Fisher’s first Waddle story. Artist manager and singer-songwriter living in Brooklyn, NY. She enjoys bugging friends for music recommendations and has an unnatural obsession with the organic vegetables from her local CSA. You can follow her on Twitter @janafisher.